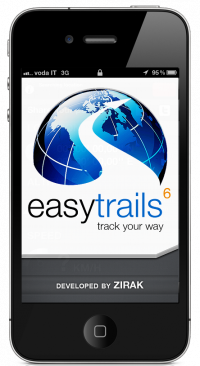 EasyTrails GPS is really easy to use. Also the import operations are friendly users oriented thanks to an innovative sharing service uncomparable with those ones of the other competitors apps. 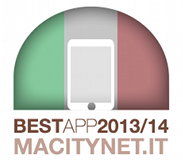 The activation is immediate: just go on the sharing page and push the big, green button “share”. 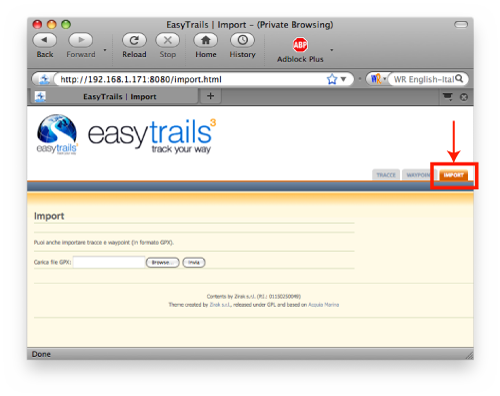 In the top-right of the page you can see three tabs, devoted respectively to the exportation of tracks, exportation of waypoints and importation of tracks and waypoints. 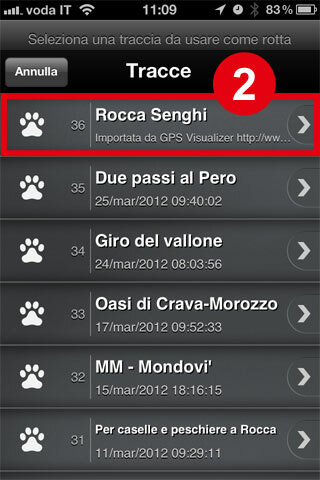 In this tutorial we look at the latter, highlighted with a red border. 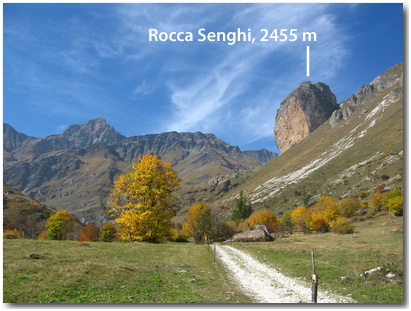 For example let’s suppose I want to import the track of the excursion to Rocca Senghi (2455 m, circa 8054 ft) done by the Cuneotrekking team and recorded with a Garmin eTrex Vista HCx. 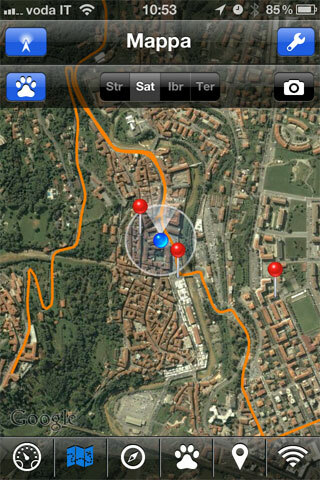 An extremely interesting function is the possibility to to follow any track directly recorded or imported. 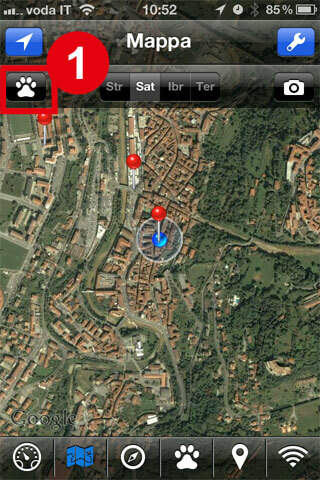 It is a really useful feature, e.g. for whom love to do trekking in new, unknow places or whom use to usually enjoy travelling around. Here you go: automatically the map will be refreshed so I will see in orange the route to follow and I won’t risk to get lost. 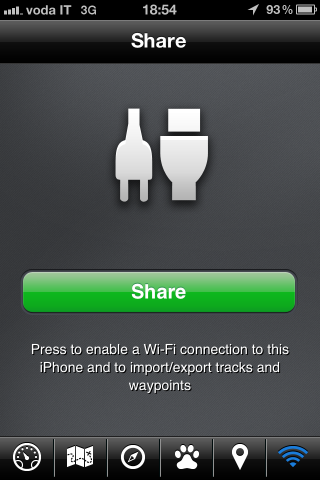 As I said before you can import (and so follow) tracks recorded with any devices. It means you can get tracks from your friends or download from several websites and then follow them or try to improve them.